Make Music Madison is part of Make Music Day - The Global Music Celebration. Hundreds of free outdoor concerts, all on Friday, June 21st! Registration is open for musicians and venues til May 7th. Make Music Madison is part of Make Music Day, the global music celebration happening in over 1,000+ international cities. It’s is free, citywide, outdoor day of music held annually on the summer solstice, June 21. Make Music Madison turns the city into a stage welcoming a full spectrum of performers. 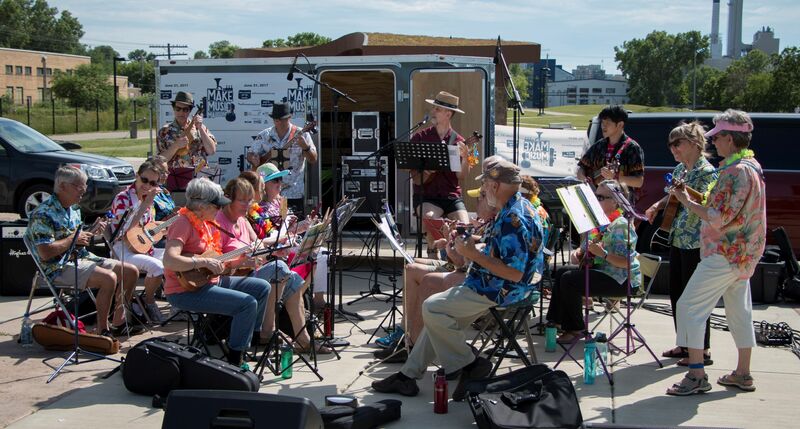 Initiated in 2013 as Madison’s entry into the international summer solstice music celebration, we join hundreds of millions of people all over the world for Make Music Day. 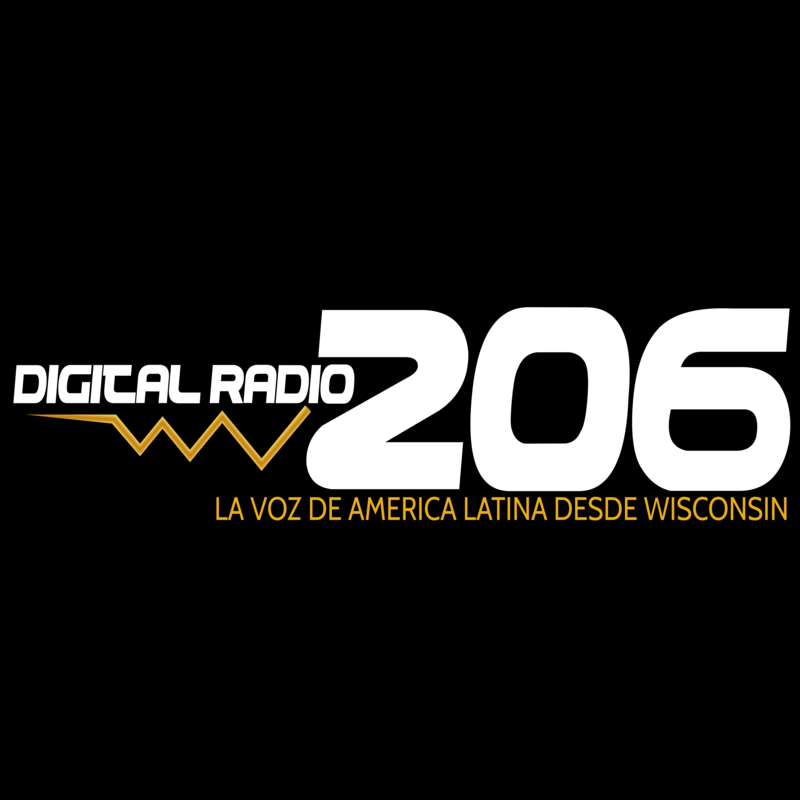 Make Music Madison is presented by the generous support of Madison Arts Commission and Isthmus with additional sponsorship by Dane Arts, Digital 206 – La Voz de Latina America desde Wisconsin, and WORT FM Community Radio. In 2019 our celebration takes place on a Friday. Coffee shops, restaurants, front porches, and businesses all over Madison will fill their locations with song. Lunch patrons may find themselves serenaded by a middle school string quartet. And after 5, the city will ring with music. 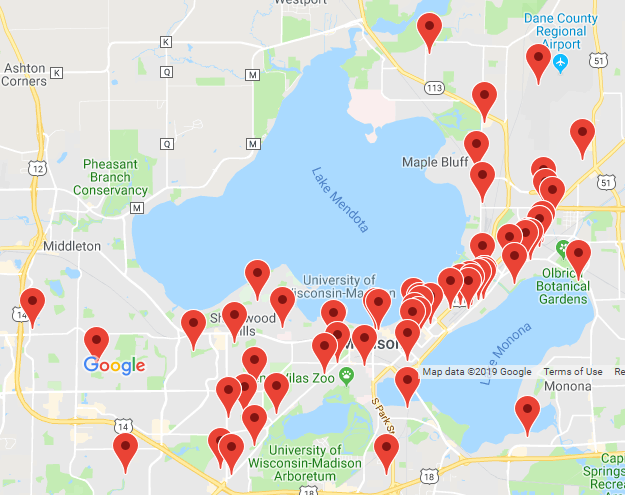 The next Make Music Madison will take place on the summer solstice, Friday, June 21, 2019 at over 100 locations across Madison. Who is Make Music Madison? Make Music Madison is Performed by Anyone, Enjoyed by Everyone, and takes a dedicated team of volunteers to bring it all together. 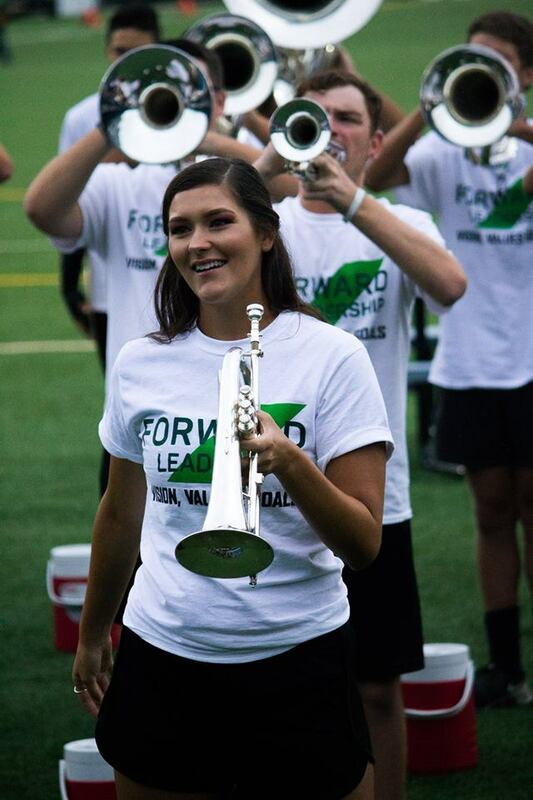 We have a small board comprised primarily of group leads for larger teams of volunteers who focus on venues, musicians, matchmaking, mass appeal events, technology, publicity, and fundraising. In addition we have a single seasonal paid position for our managing director. Current board members include Jamie Kember (president), Ashley Massart (treasurer) and Ashley Roberts (director of social media). Natasha Stevens Sattin serves as our managing director. Beyond this we have a talented and growing volunteer team of planners. To join our merry crew, email us at info@makemusicmadison.org. RETURNING MUSICIANS AND VENUES: Welcome back and continue reading on. Our developers recently updated the matchmaking system. If you have an account from 2018, you’ll need to reset your password with three quick steps: 1. On the login page, use the same email and password (or a made-up password if you forgot) 2. Click LOGIN (this step triggers the reset on your account) 3. Click FORGOT YOUR PASSWORD and follow the instructions from there. If you were not registered in 2018 but played in previous years, please re-register your information by clicking the register button on the log-in page. Email director@makemusicmadison if you have trouble logging in. Make Music Madison is a citywide, street level music making celebration. There is a role for everyone and every organization in this DIY celebration – musicians, social media makers, businesses, restaurants, bars, neighborhood organizations, and non-profits. If you have an idea about how to add to the Make Music Madison merriment, and you have the time and skills to make your vision happen, we want to hear from you. Email us and we’ll hook you into the planning team. Got something share with a crowd? 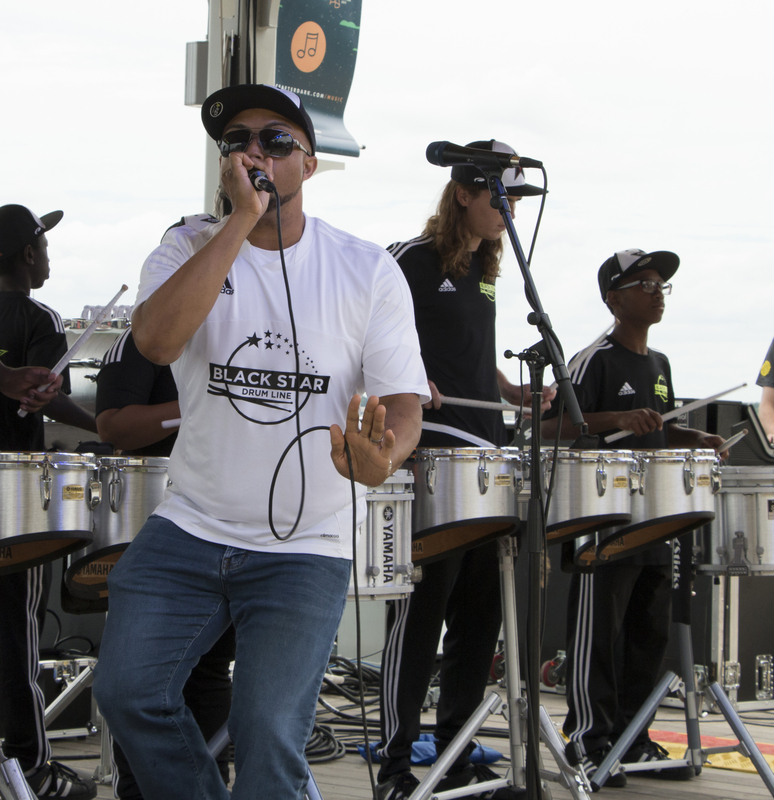 From jam sessions to DJ lessons, samba workshops to a pop-up back-up band. Get in touch at director@makemusicmadison.org. When we say, Performed by Anyone, Enjoyed by Everyone, we really mean it. And for 2019 we’re putting together a number of special events to draw even greater numbers of musicians and appreciators into the fun. You’ll be able to join in on mass appeal shows designed to bring together dozens — no, hundreds — of artists to perform pre-selected pieces together. Venues all over town hosted 2018 Mass Appeals which offered many chances for audience members participation including breakdancing with Jaruis King at the Memorial Union, a public piano at Alumni Park, jam sessions, sing alongs and kids’ open mic! Listings for Make Music Madison 2019 will be added soon. Make Music Madison is a volunteer-organized event and thrives on the support of our community. What does it cost and where does the money go? The cost of bringing more than 400 concerts to over 100 venues across Madison in one day is roughly $45,000. Less, we like to say, than the cost of installing a traffic light. Far less. The work of small army of volunteers makes it possible to pull this off on such a limited budget, but unavoidable costs remain, including: publicity and advertising that are critical to the success of the event, software development for the matchmaking system, a part-time managing director to coordinate the many volunteers and handle the administrative aspects of the nonprofit organization, and many smaller items such as insurance and event permitting. Help cover these costs, and be part of bringing the musical merriment to the summer solstice! Make Music Madison is a 501(c)(3) nonprofit organization; all contributions are 100% tax deductible. Our partners benefit from co-marketing with an event that has become a summer highlight, and receive extensive exposure through print (including an Isthmus event program insert) and radio advertising, prominent placement on a highly trafficked website and mobile app, and on posters and banners at more than 100 venues. When the Solstice rolls around, we are everywhere. To learn more about sponsoring this event, please contact us at info@makemusicmadison.org.